The clock is stopped. It is tea time. 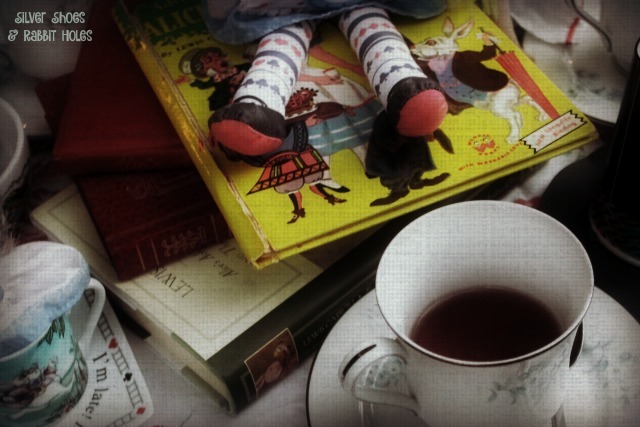 It is always tea time. 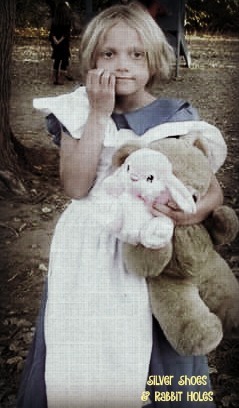 Alice sat down to tea. What a lovely dream... ? 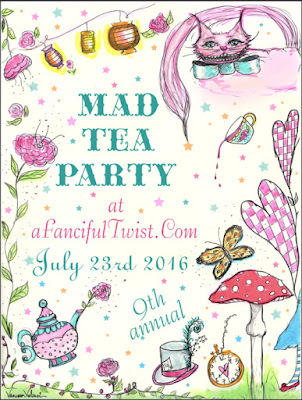 Thank you for joining us for our Mad Tea Party! Be sure to visit A Fanciful Twist to see our hostess's amazing party, then follow the links to drink your fill at all the lovely parties. 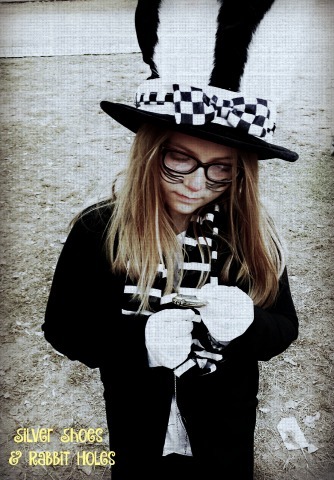 And for more Alice-y goodness, Silver Shoes & Rabbit Holes-style, click here. 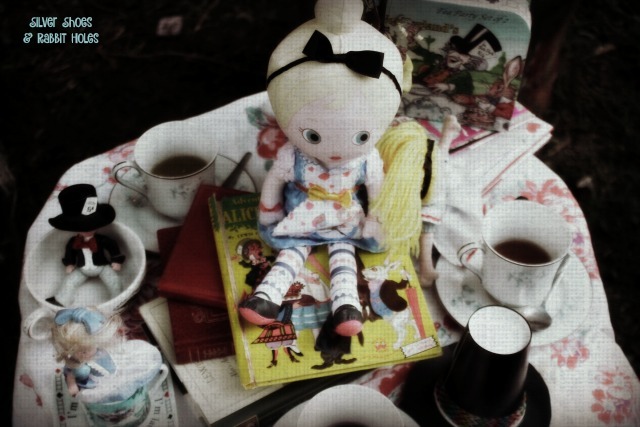 A very sweet Mad Tea Party! Thank you for inviting us!! Thank you so much for visiting my party. I enjoyed yours as well! 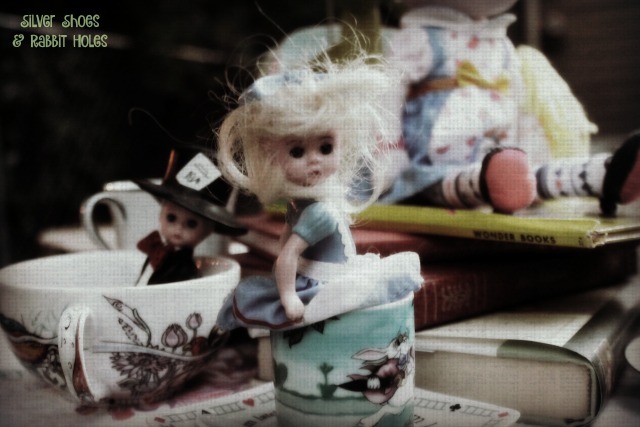 Your party pictures are kind of creepy but also wonderful :) Happy tea Party! Haha, my oldest daughter told me they were creepy, too! Thanks! So many Alices, so little time! What a lovely tea party! Love the photos! 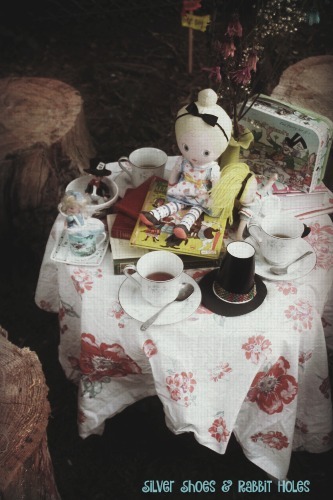 Oh, what a fine Un-Birthday Tea party....I enjoyed it very much...and thank you for coming over to mine...fun party.. Thank you! I always look forward to seeing what everybody does with theirs. It was fun participating this year. How fun to have the girls join the party! dreams or nightmares...often too close to call. Tee hee. True! Thanks for stopping by. What a delightful party! Thank you so much for your hospitality, Dear! Love all your Alices, especially the cake-eater. What a delightful expression. 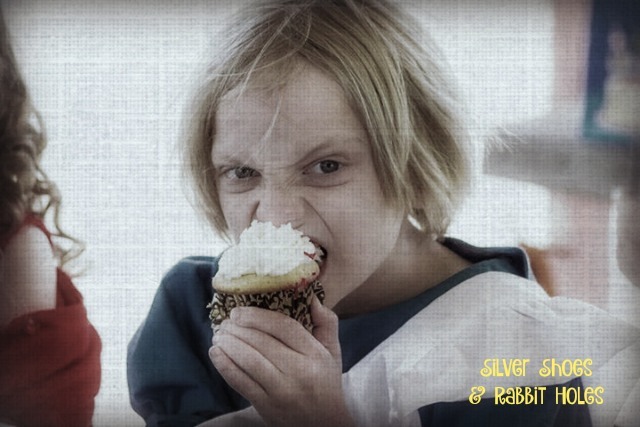 I bet that cupcake is just yummy! Apparently, nothing beats a plain ol' vanilla cupcake sometimes. :) Thank you for stopping by! Happy Tea Party Day to you, too! 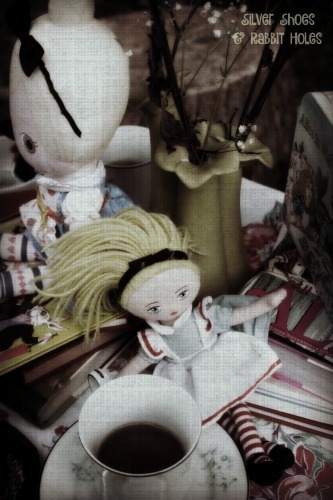 Love your dreamy photos, the dolls were obviously enjoying the party too. Happy Madness Day. Thank you so much. Enjoy the day! Thanks for all you share and the cup of tea. What perfect little Alices you have, looks like they have lots of personality. It's easy to imagine them having many adventures! 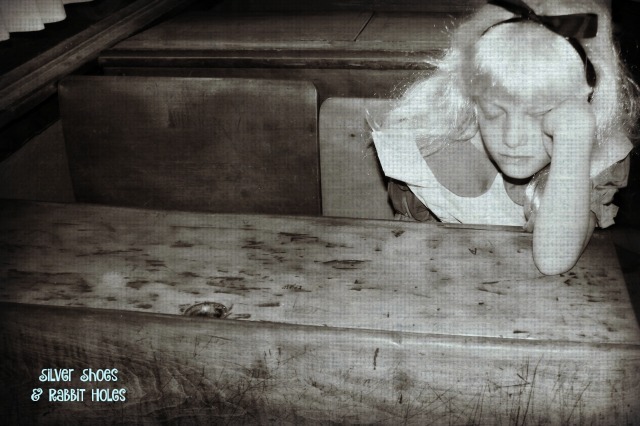 I think your photographs are great, I love the subtle texture, it gives them a very "wonderland" look. Thank you so much! I was going for a vintagey look. I appreciate the kind words. I'm so glad you stopped by! I am delighted to be here at your party. Such cute guests! I like the vignettes you created on the table, too. Fun party! 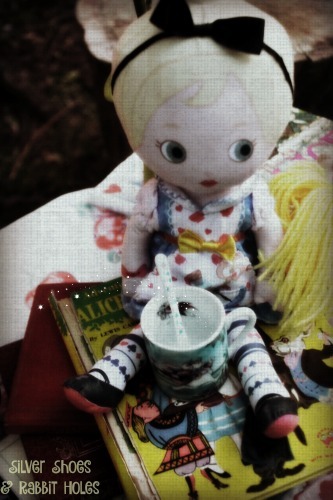 I loved the dolls in the tea cups! Great elements and lovely pictures of your girls. Loved the lighting (or is it filters?) you had in this post. It created a very dreamy effect which was in keeping with the theme. I had a lovely time. I enjoyed dropping by. WOW this is so cool, like a little movie! Love the effects you used! The girls look amazing! 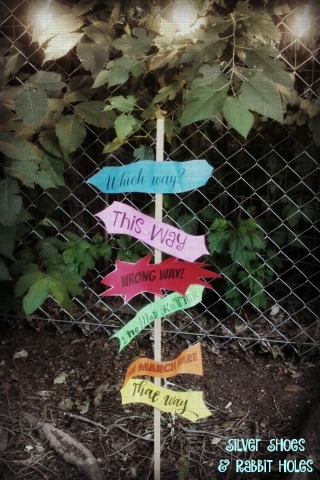 Adore your styling and props! A fun party for sure! I apologise for being late (I guess I'm much like the Rabbit this year!) I enjoyed your party very much. Thank you for having me! Thank you so much! I loved your party. I don't have a Google+ account, so I couldn't comment, but it was one of my favorites! Late but I am here! Hello! What a great party. Love black and white costume, my favorite. Everything looks so great.